Now that my SDCC hangover has subsided and life is almost getting back to my normal routine, I find myself in Indianapolis gearing up for the "best four days in gaming" at Gen Con. 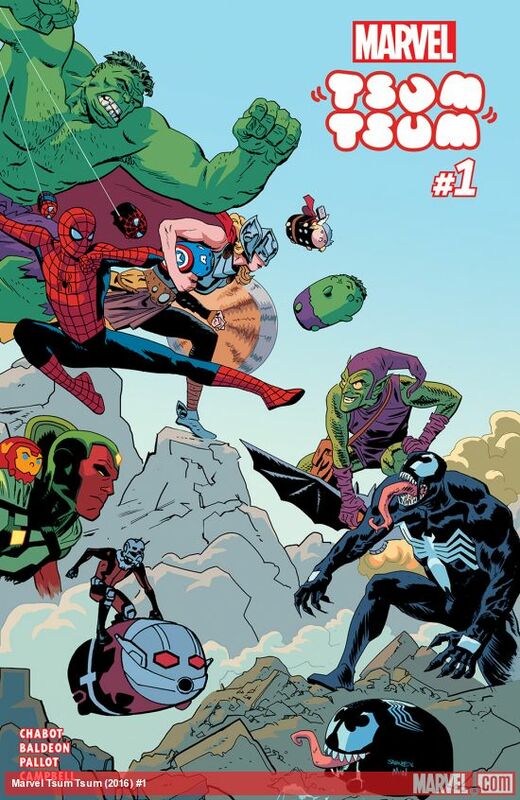 Not sure why I subject myself to this type of schedule at this age, a relatively slow week in comics allowed me to resume my normal Thursday morning recap. Daredevil Annual - Vanesa R. Del Ray and Mat Lopes flex their visual chomps in an issue that was a lot of fun. Klaw has returned to Hell's Kitchen and is using some sort of audio frequency to take control of the citizens. 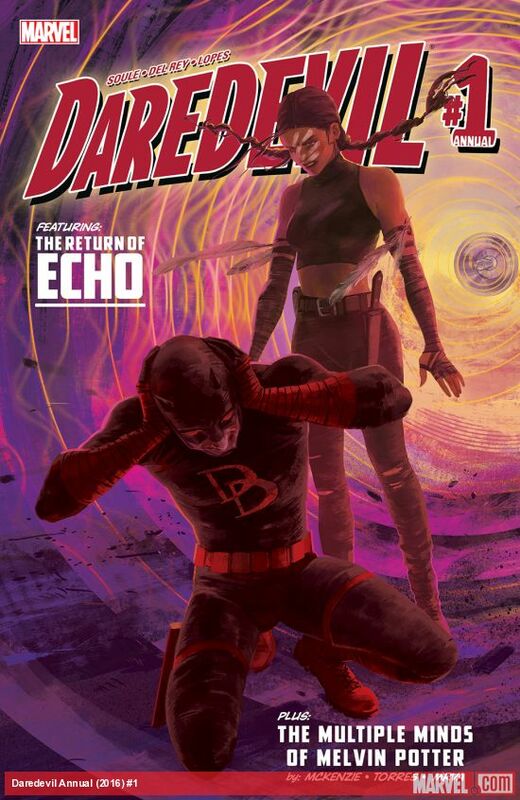 Daredevil has to rely on Echo as they attempt to stop this zombie-type foe as wearing headphones severely impacts his abilities. The gritty lines and dark colors that Del Ray and Lopes use throughout this issue set a quick and terrifying pace to the book that is highly engrossing. The other story, Fragments, is enjoyable, but doesn't have the same appeal that Echo had. Both are high-paced reads that work well as an annual and remind us why Daredevil is an amazing character and what a good job Charles Soule has done writing the man with no fear. 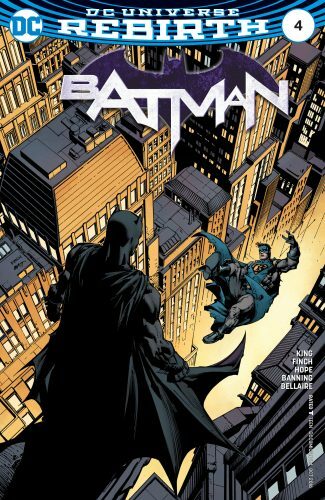 Batman Rebirth #4 - While it is still odd reading Batman without the creative duo of Scott Snyder and Greg Capullo at the helm, this issue did a great job using the New 52 run that Snyder and Capullo had to establish a motive for Pyscho-Pirate's arrival in Gotham. Turns out he and Hugo Strange were sent to clean up the mess of Gotham from the New 52 arc (Owls, Joker, Riddler, Mr. Bloom, etc.) as a suicidal squad. Hugo has gone rogue and it looks like Pyscho-Pirate might have had personal motives for getting involved. The one thing we can count on is an epic confrontation between Batman and Pyscho-Pirate in issue #5. Marvel "Tsum Tsum" #1 - When I first saw the adorable Tsum Tsum plushes at the store I never envisioned that they would become as popular as they are (the SDCC exclusive Tsum Tsums were a hot ticket) or that they would ever have a series of their own. A delivery of Tsum Tsums were on their way to the collector when a batch of them found their way to earth. Discovered by some kids, the Tsums Tsums catch the eye of a bad due in their apartment complex. While not something that is up my alley, it was an enjoyable all-ages comic that I am curious if my kids will enjoy. It is unbelievably cute though.